This is one of those deceptively simple devices that make a lot of sense and are eminently practical. Simon initially contacted me to build something to interface the piezo pickup from his violin with the outside world. 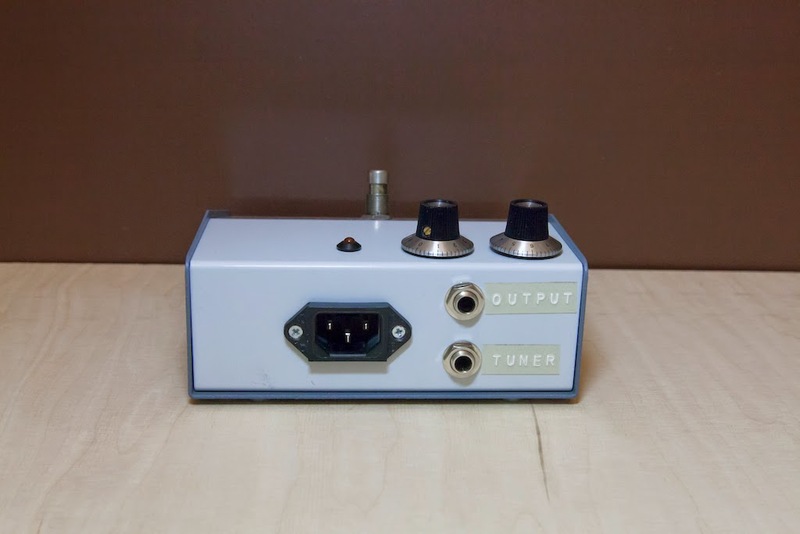 Ideally, a buffer would be built as close to the pickup as possible to reduce any losses from the very high impedance output. However violins are obviously fragile and it just wouldn’t suit to have anything that imposing or worse, something that touches the wood of the instrument. Therefore, we decided on having a self-enclosed external device. 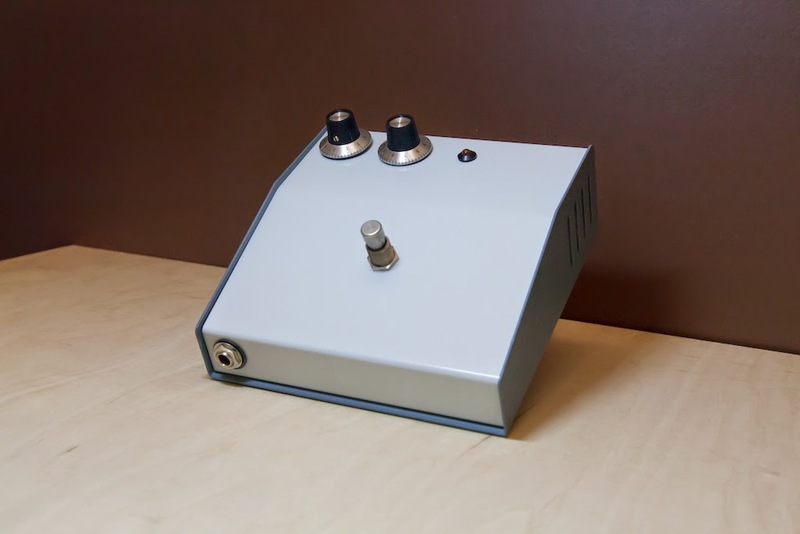 The preamp itself is a high impedance simple ECC82 gain stage followed first by a tilt tone control and volume then a cathode follower for a low impedance output. 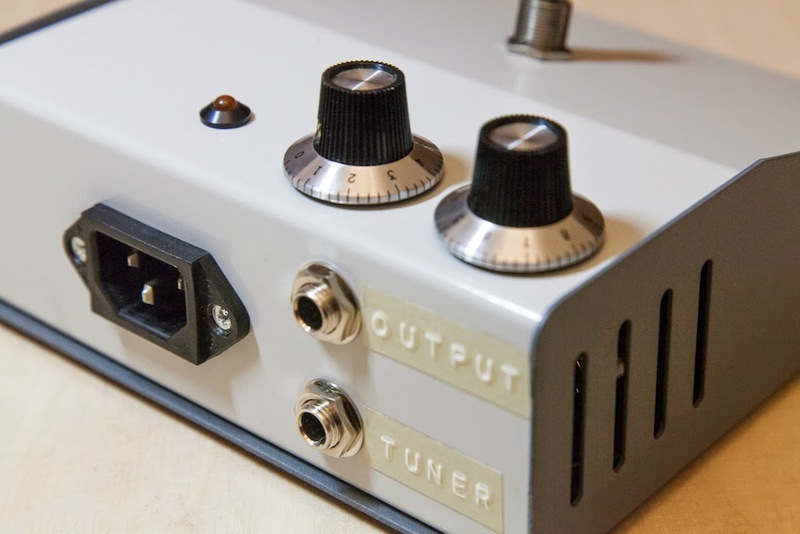 There are two outputs: one for the main, one for a tuner. 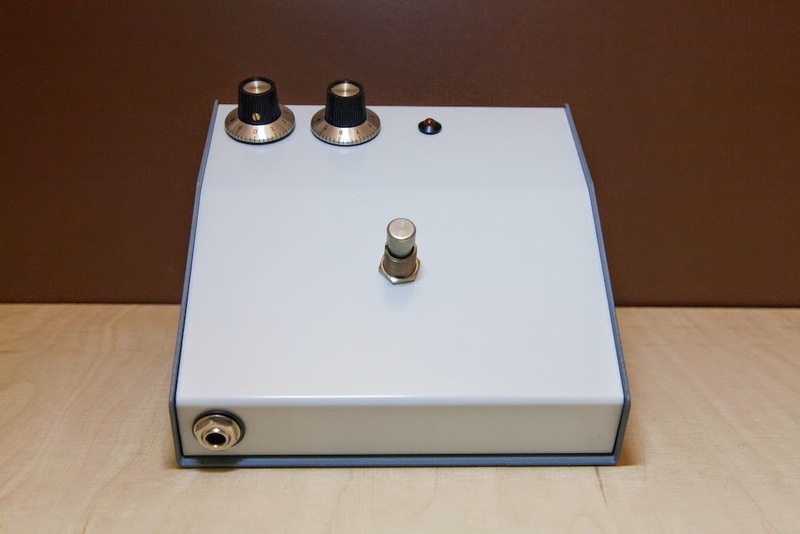 The footswitch mutes the main output while the tuner is always “on”. 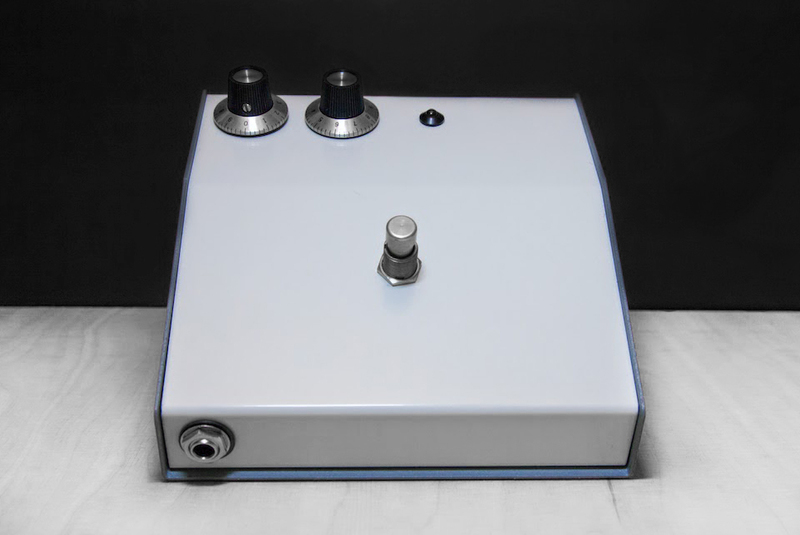 The simplicity of the circuit lends itself to pretty much any instrument and would particularly suit a bass guitar. Put it before a big power amp and it makes a clean and inexpensive bass rig.